Ripple Effect – Ripplefold Drapes Are Back! Ripplefold has been around for years, but we believe they have come back into popularity because they look terrific , are affordable, (requiring about 25% less fabric), and offer a low maintenance window treatment solution. Ripplefold is named for the soft, ripple-like folds that flow smoothly from one end of the track to the other. 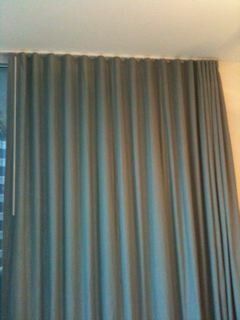 The result is a gently tailored drapery suited to both commercial and residential installations. 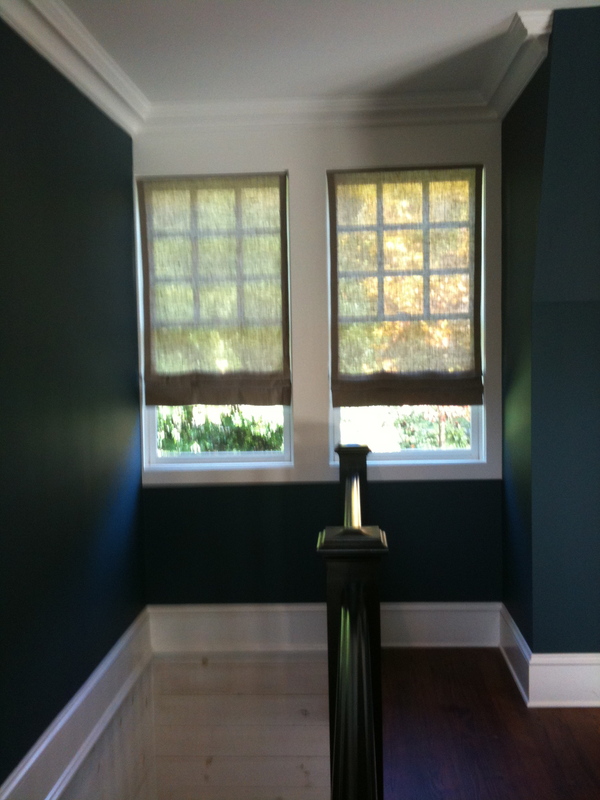 Ripplefold draperies may be used with either cord-drawn or baton-drawn track rods. At Drape98, we always recommend baton drawn Ripplefold track because of strangulation risks associated with cord drawn products, but we can attend to either cord or baton as our customers request. We start Ripplefold draperies by fabricating a flat panel. We then use snapped tape sewn into a one inch header. The snaps on the flat panel are then attached to the spaced carrier system in the track. Carriers are evenly spaced and connected with string, giving it a “ripple” effect and keeping each fold even and clean with little “stack back”. The fullness of Ripplefold draperies is achieved by the ratio of the spacing between the snaps on the panels, to the spacing between the carriers. We offer 60%, 80%, 100% and 120% fullness. As the fullness increases, so does the amount of fabric required. Ripplefold draperies are also easy to clean and maintain. Because they are fabricated as a flat panel, Ripplefold panels have a low maintenance factor, making it particularly attractive to specifications for commercial institutions like hospitals, hotels, nursing homes and rental properties. 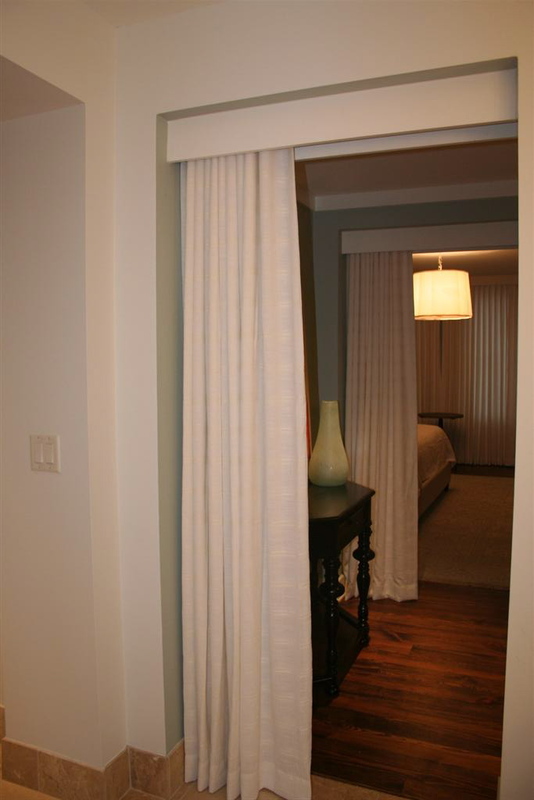 The draperies are easy to take down and re-hang. They can be washed (or dry cleaned – depending on fabric specifications), and then pressed flat. Folds fall easily into place when panels are rehung. The key to Ripplefold draperies is the hardware. There are several sources for Ripplefold hardware but most sell to the trade only. Drape98 sells Ripplefold panels and hardware to the trade as well as directly to homeowners. 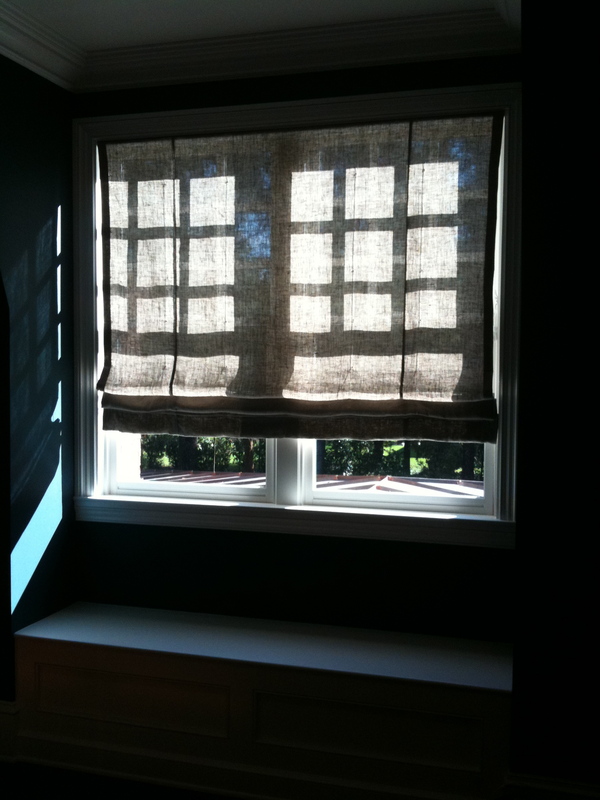 Exact measurements are required, particularly if the drapes are going to hang from the ceiling -so we take special care with our measurements and charted hardware information to know exact requirements for each installation. 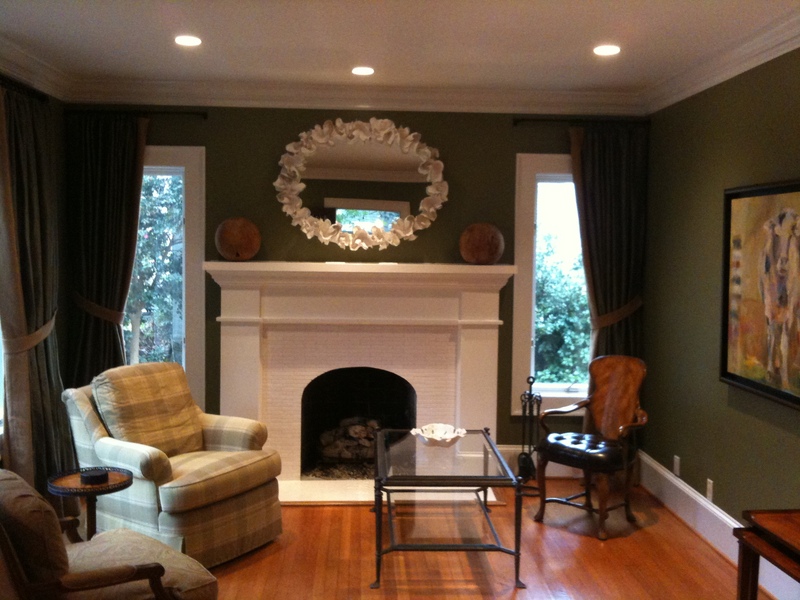 Ripplefold drapery offers a crisp, clean, modern look. 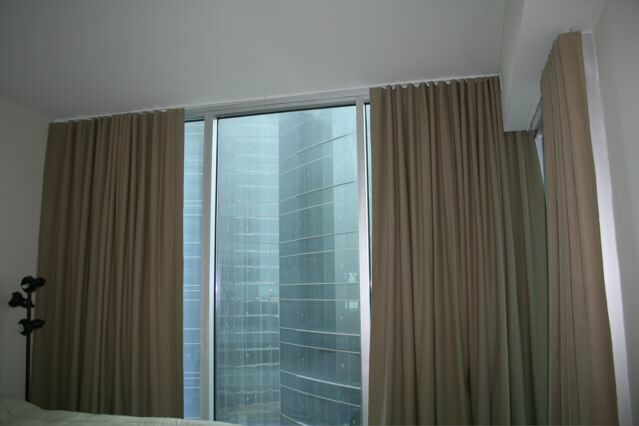 Whether you are wanting a contemporary update for your home, 2nd home or condominium or require a simple solution in a commercial application, Drape98 can assist and provide exactly what you need. What a Difference a Drape Makes! Okay – I know I’m a drape nerd. I live, eat, sleep, breathe drapery- fabrics, hardware, fabrication techniques, best buckram in best situation, adhesives, sheer liners – you name it. I’m always looking for what’s new, what’s next. The bottom line is that when Drap98 makes drapes, whoever the client, each one of us is always excited to see the finished project completed. It makes us feel good! Some clients are more appreciative than others but lack of enthusiasm on anyone else’s part never dampens how I feel when I’ve completed installing what we’ve built- what we’ve helped design – and our work – our panels always HELP the room. The fact of the matter is that drapes make a difference. 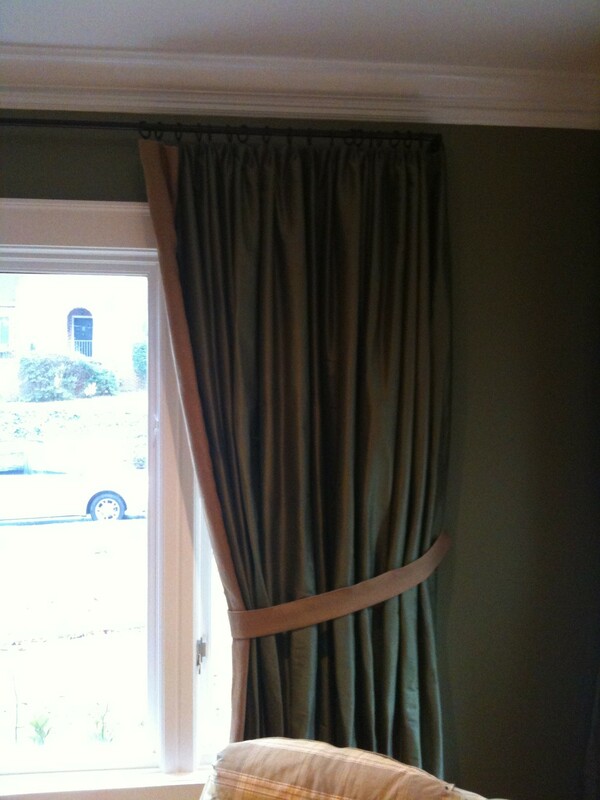 I always say that drapes are like paint (although a bit more expensive!) In minutes they’re up and the room is changed. And when the short, extra mile is taken to hang custom hardware and custom panels… wow – it always, always gets a reaction. So here’s a photo – recent install – very high end client who wanted something really beautiful – and the designer gave it to her. He came to us for the panels and hardware. The finished product, “sheer” perfection. And though this gorgeous room was stunning on it’s own, now with the simple, helping hand of fabulous drapery panels.. it looks complete. It is now finished. All brushes have gone back in their cases.. the Artists have proudly left with a grand sense of completion – knowing they made a difference!